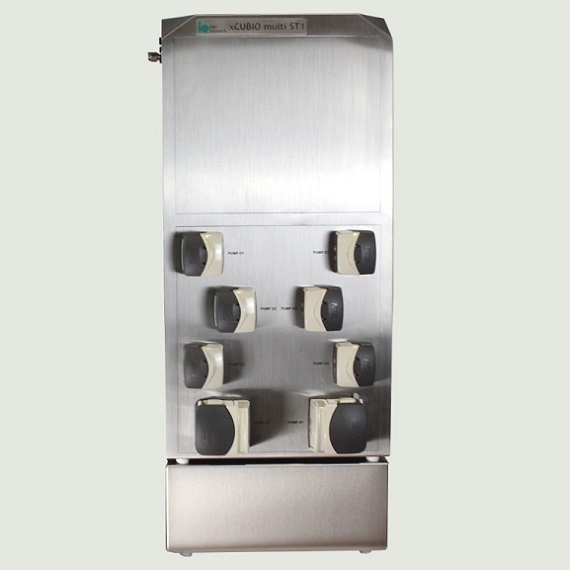 The xCUBIO multi controls up to 12 bioreactors and fermentors at the same time! 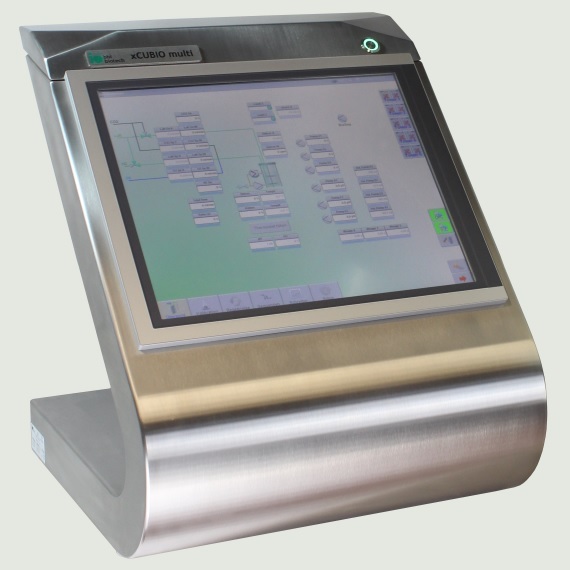 Operation and detection of the process values are concentrated on the central 19” touchscreen control terminal. Controllers, media pumps and amplifiers of xCUBIO multi are installed in separate twin supply towers next to the cultivation vessels, remotely controlled via Ethernet interfaces. The xCUBIO multi can control up to six twin supply towers with two connected vessels each. This is how up to twelve cultivation vessels can be operated in parallel for microorganisms of every kind. 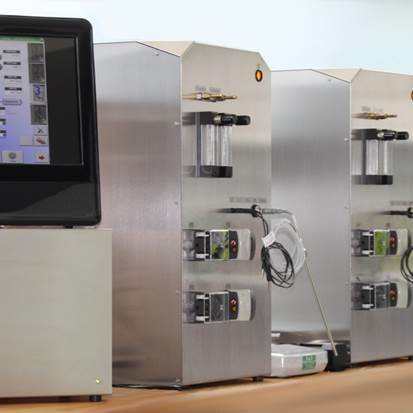 The system allows basic microbial application as well as customized perfusion systems for continuous cell cultivation. The xCUBIO multi control terminal controls, analyzes and archives the activities in all cultivation vessels, which are connected by LAN-connected supply towers. Each supply tower can be flexibly equipped for different applications. The split of process analysis and process control allows to operate the cultivation vessels by remote from a separate room with full access to every process parameter. If the xCUBIO multi-installation is done on site together with the controlled biosystems, all current process information is intuitively displayed on the scene within a most compact installation. Do you want to develop a xCUBIO multi concept for your lab? Please contact us and check the system opportunities.